Government, at both UK and at Stormont level, needs to implement fully the obligations set out in the United Nations Convention on the Rights of Persons with Disabilities in order to remove the barriers faced by people with disabilities in Northern Ireland. That is the message which the Northern Ireland Human Rights Commission and the Equality Commission for Northern Ireland will be delivering to the United Nations Committee on the Rights of Persons with Disabilities in Geneva this week. They will be presenting a joint report to the Committee, together with human rights and equality bodies from Great Britain, as part of an examination of the UK’s record on disability rights. 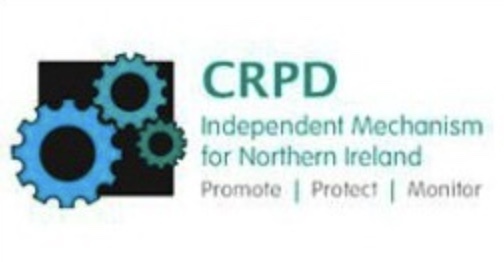 ECNI Chief Commissioner Dr Michael Wardlow said: “Our report to the UN Committee highlights that disabled people in Northern Ireland have less legal protection from discrimination than disabled people in Great Britain. We need action from Government to close this gap. · Legal Protections: There is a lower level of protection for disabled people in Northern Ireland than in the rest of the UK. The Equality Commission for Northern Ireland has called on the Northern Ireland Executive to make changes to disability equality legislation, not only to keep pace with positive legislative changes in GB, but also to adopt measures which better reflect the Convention on the Rights of Persons with Disabilities requirements in, for example, making provision for redress against multiple discrimination. * Housing: A 2017 Equality Commission for Northern Ireland statement reported that many disabled people in Northern Ireland live in homes that are inadequate for their disability-related needs. The Northern Ireland Executive should implement in full the recommendations of the Inter-Departmental Review of Housing Adaptations Services Final Report and Action Plan 2016. * Transport: There are a number of accessibility problems in Northern Ireland. A 2015 survey found that 30 per cent of disabled people stated that difficulties getting on or off vehicles prevented them from using public transport, compared with four per cent of non-disabled people. The Northern Ireland Executive should commit to resource and fully implement the Accessible Transport Strategy 2025. · Special Educational Needs: Students with Special Educational Needs (SEN) or a disability have lower attainment levels than students without. A Northern Ireland Audit Office report in June 2017 was critical in terms of economy, efficiency and effectiveness, of the level of support currently provided to more than 75,000 children with SEN in mainstream schools. In May 2017 three schools apologised to the families of children with SEN after refusing to accept them as pupils. The families brought cases against the schools in question to the Special Educational Needs and Disability Tribunal with the support of the Equality Commission. NIHRC - Claire Martin on: (028) 9024 3987) or 07717 731873 or Zara Porter at 02890 243987. ECNI - Christina Martin on: (028 9089 0861) or out of hours 07715 476186. 1. The Equality Commission for Northern Ireland and the Northern Ireland Human Rights Commission are jointly designated with a role to promote, protect and monitor the implementation of the Convention by the Northern Ireland Government. Watch a short video on this joint work here<https://www.youtube.com/watch?v=j5mnnmOKOhM>. 3. The report has been submitted to the Committee on the Rights of Persons with Disabilities. It is the body of independent experts which monitors implementation of the Convention by the States Parties. The Committee’s examination of the UK will take place at the United Nations offices in Geneva in August 2017. After the examination the Committee will produce its own report on the UK Government implementation of the Convention at a later date. 4. The Committee on the Rights of Persons with Disabilities (CRPD) is the body of independent experts which monitors implementation of the Convention by the States Parties. The Committee’s examination of the UK will take place at the United Nations offices in Geneva in August 2017.